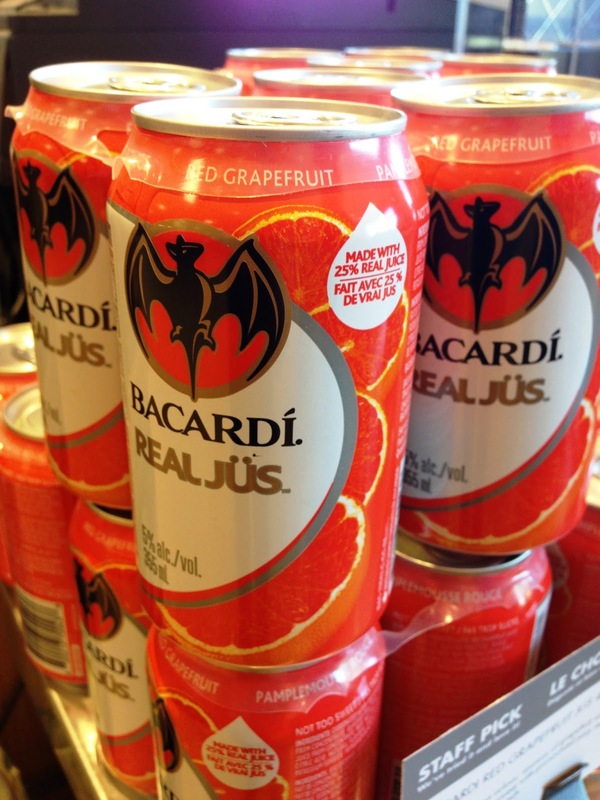 Weighty Matters: Badvertising: Fruitwashed Bacardi Real Jüs - How is this Legal? Badvertising: Fruitwashed Bacardi Real Jüs - How is this Legal? Saw these at the checkout aisle of my local liquor store. They're Bacardi's Real Jüs rum coolers made with, "25% Real Juice"
Simply horrifying, and it honestly surprises me that a front-of-package inferred health claim is something that can legally be placed on alcohol in Canada.